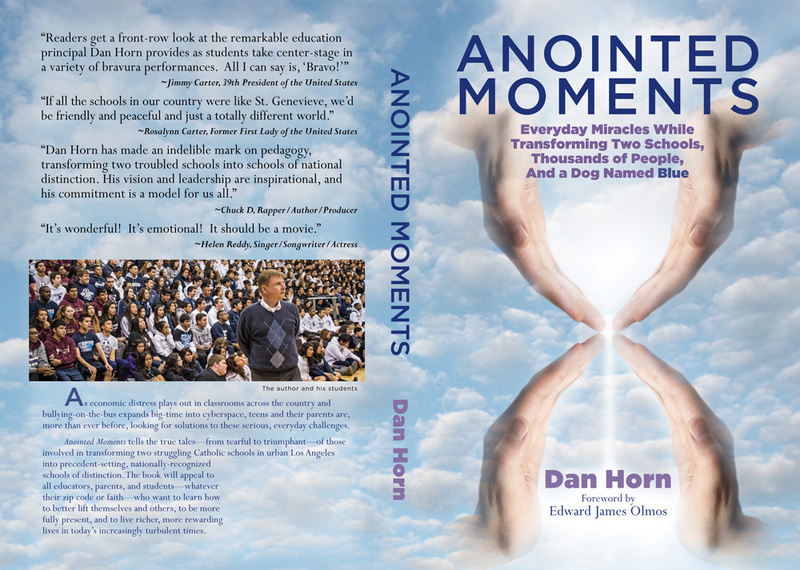 I am very pleased to introduce my new book, ANOINTED MOMENTS, an inspiring series of stories from the parents, children and communities I’ve been blessed to be part of, in my career as a principal in Los Angeles. Description down below. As economic distress plays out in classrooms across the country and bullying-on-the-bus expands big-time into cyberspace, teens and their parents are, more than ever before, looking for solutions to these serious, everyday challenges. Anointed Moments tells the true tales—from tearful to triumphant—of the teachers, educators, parents, and children who have been involved in transforming two struggling Catholic schools in urban Los Angeles into precedent-setting, nationally-recognized schools of distinction. These are stories of communities and schools which embrace ethics of kindness, good character, tolerance and appreciation for each other’s differences — characteristics that encourage respect and cooperation, and which turn out a generation of young people fully prepared to enhance the world. The book will appeal to all educators, parents, and students—whatever their zip code or faith—who want to learn how to better lift themselves and others, to be more fully present, and to live richer, more rewarding lives. Written by Dan Horn. Foreword by actor and director Edward James Olmos.